what would this home cost? From Brookville, North on SR 101 Right onto W Co Rd 550 S. Property on left. 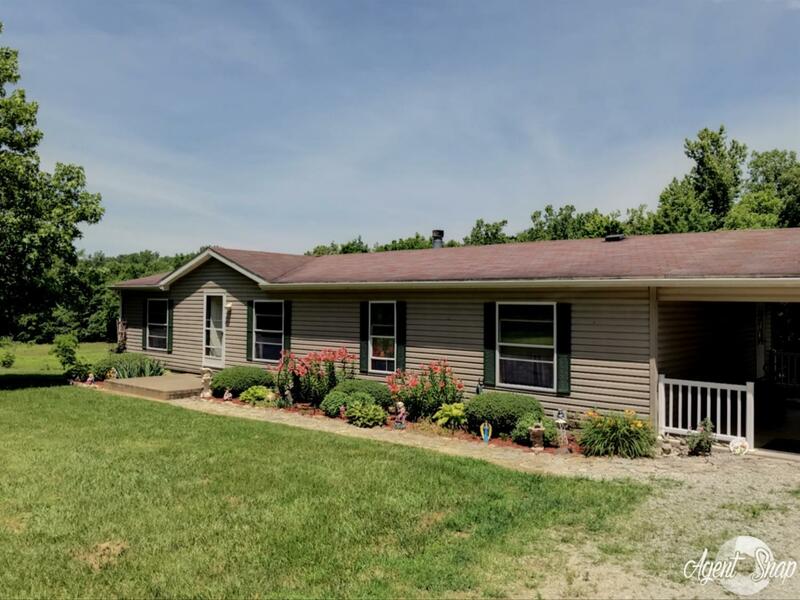 This large, 3 brm, 2ba manufactured home with gas fireplace comes with 12 acres of your own woods (with trails), pasture and a beautiful creek to explore! 27' above ground pool with deck for summertime fun and entertaining! Minutes to Brookville Lake makes this a wonderful place to settle down as a permanent residence or a weekend retreat! NOTE: This property was sold on 8/3/2018 and is no longer available. The details listed below are believed accurate to the date of the sale and are subject to change. Once primarily a bedroom community for nearby Cincinnati, the southeastern Indiana area has changed dramatically in recent years. Many area residents still work in Cincinnati and its suburbs, but most choose to live here for its country living. Some of the state’s earliest architecture can be found here. Southeastern Indiana is a curious mix of agricultural and industrial enterprises with plenty of rural acreage to call home. You need a car or a boat to get around in Southeastern Indiana. I-275, and I-74 provide interstate access. St. Rts. 1, and 101 meander throughout the region just 30 minutes from downtown Cincinnati. Dearborn County Hospital in Lawrenceburg serves the growing area’s medical needs, as well as Rush Memorial Hospital, and Margaret Mary Community Hospital in Batesville. Hospitals in Cincinnati are about 45 minutes away. Shopping is primarily in the bigger cities in their commercial districts, but many neighborhood and villages offer their own convenience outlets to meet every need. Specialty and antique stores abound in Southeastern Indiana, and are worth a special trip. Several burgeoning artists communities with one-of-a-kind offerings entice you to shop and browse. Nestled in a scenic river valley, outdoor recreation is abundant here with the opportunity to hike, bicycle or drive to explore the breathtaking hills and valleys. The Ohio River provides access via numerous deep-water marinas and fishing recreation. Nearby Brookville Lake is the center of water sports; canoes frequent the White Water River during the spring and summer seasons. Several state parks dot the region; Perfect North Slopes provides the region’s only ski resort area. Entertainment includes the nearby gambling boats not only for their gaming opportunities, but also for their sports and entertainment complexes. This listing courtesy of Andrea White (765) 647-1922, White's Realty 765-647-1922. Copyright © 2019 Multiple Listing Services of Greater Cincinnati / All Information is believed accurate, but is NOT guaranteed. The data relating to real estate for sale on this website comes in part from the Broker Reciprocity programs of the MLS of Greater Cincinnati, Inc. Those listings held by brokerage firms other than Sibcy Cline, Inc. are marked with the Broker Reciprocity logo and house icon. The properties displayed may not be all of the properties available through Broker Reciprocity.